HIGH COUNTRY GARDENER: THE ANSWER MAN: What's your problem? THE ANSWER MAN: What's your problem? Q. Hi! I’m Willard. I’ve got a problem. I moved here from western Illinois, right along the bottom lands near the Mississippi River, where all I had to do is stick a plant in the ground, and it’d grow like crazy, and I’ve been looking for something I could stick in the ground in Flagstaff that would grow like crazy. Can you help me? A. Ah, Willard, you’re a man after my own heart. I, too, miss places I’ve lived, especially the mosquito infested, heavily silted flood plains along the Mississippi. I think it’s called the American Bottom. We don’t have much silt in Flagstaff. We ship it down state; however, we’re also short on mosquitoes. Also, if there is one thing I hate, it’s excessive movement: the buzzing about, high metabolism type A, the kind who gets things done that don’t need doing. I’d like just to stick plants in the ground and watch them grow like crazy. What you want is slothful gardening. I would recommend the onion, the second most popular vegetable in the world. Just stick in the ground and watch it grow like crazy. The tomato, a snooty vegetable, is the most popular of home-grown vegetables but, sadly, requires special attention in Flagstaff. However, that second banana, the onion, is easy to grow in the North Country. Also, the onion is the most popular underground vegetable, beating out by several furlongs the rutabaga, an ugly vegetable. I’m a tomato aficionado, fancier, and grower with all the heartache that entails. However, I must admit that the lowly onion is as dear to my heart as is the tomato. The high metabolism, type A, get-up-and-go species are good at onions. To do the job right, you need short-season tomatoes, pricey containers, measured watering, careful fertilizing, and special soil. Also, they sometimes suffer fatal air and soil borne diseases. Not to discourage you, however. Ground is the key as it is with everything else. Onions require a soil in which they can expand, friable, loose, flowing through your fingers. If it’s clay, they have a hard time expanding. Clay when fired is pottery. If it’s sand or volcanic ash and cinders, they can expand easily, but water flows through the stuff like a sieve. The trick is to blend clay with sand or cinders. Happily, we have plenty of both clay and cinders in Flagstaff. Then to make a more perfect union, lots of organic matter should be added to the mix, like horse manure and compost. It may not be Mississippi silt, but it’s a damned good substitute. However, making this soil requires physical activity which you may find offensive. Being a bunch of leaves, onions require soil with nitrogen which means that it’s smart to grow onions in a bed that had beans the year before. Not only is crop rotation wise, but beans leave nitrogen in the soil. You can also dig blood meal and coffee grounds and tea leaves into the soil along with a nigh nitrogen fertilizer. Also, onions are water hogs so it’s best to plant them in a furrow, the better to save water. We’re not cheek by jowl with the Mississippi. The easiest way to grow onions is with sets. Seeds are iffy and tedious. Sets are really new onion plants. You can buy them locally at commercial nurseries or from Brown’s of Omaha at www.bopf.com which sells sweet onion sets. The sets can be planted as early as the middle of March, right in thawing mud and snow, which means a six month growing season, and they can be stored a couple of months afterward. 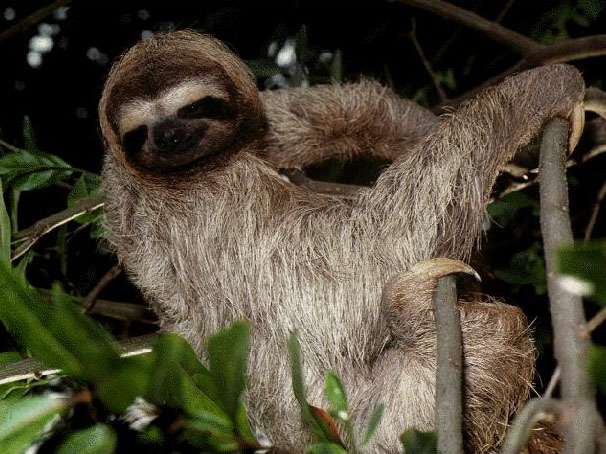 If you’re given to sloth, you may have an iffy ticker. Onions are good for the heart. In addition to requiring modest physical activity to keep your ticker tuned up, they’re jammed with heart healthy minerals, magnesium and potassium, folate, omega-3 fatty acids and dietary fiber. They don’t have salt, cholesterol, or saturated fat. Grow and eat onions to stay healthy. A delightful side dish: onions sautéed, alas, in butter accompanied with sliced home-grown tomatoes sprinkled with sugar. Délicieux. Dana Prom Smith edits GARDENING ETCETERA for the Arizona Daily Sun in which this article was published on 2/11/12. His email address is stpauls@ npgcable.com. "A delightful side dish: onions sautéed, alas, in butter accompanied with sliced home-grown tomatoes sprinkled with sugar." Makes my eyes water with tears of joy and gives me something to look forward to as I plant my garden this spring.